You can find wines previously released further down the page. Fiano originated in Campania, Italy and typically exhibits a bright, fresh character with juicy citrus and honeydew melon notes. 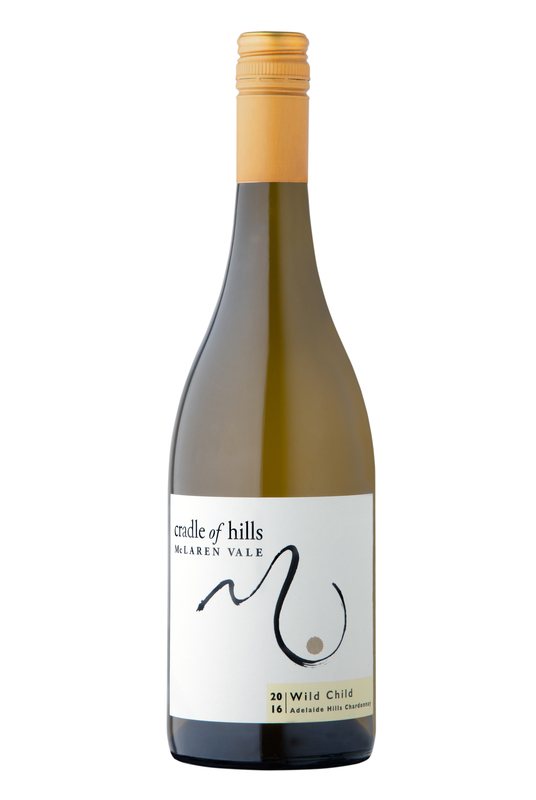 This gold-medal awarded wine is an excellent example of McLaren Vale Fiano! Light Straw in colour; Vibrant honeysuckle and citrus aromas with dry, crushed cashew flavour and a kiss of French oak – Delicious! This Rhone-style blend of 70/17/13 Grenache, Mourvedre and Shiraz expresses a strawberry and rose-musk fragrance. The Grenache provides a palate of red fruits and spice whilst the Mourvedre provides savoury, gamey flavours, good tannin and length. Our beautiful Shiraz contributes plums, pepper and seasoned French oak. 14.5% alc/vol. 140 cases made. 95 Points awarded from James Halliday, Wine Companion. "A deeply-coloured 100% single block wine from the Sellicks Hill district, notwithstanding the grapes were picked on 3 days... open-fermented with extended maceration... This black-fruited powerhouse should be left alone until '17 and enjoyed for a minimum of 10 years thereafter." Cellar to 2038. 3 bottle limit. The Chardonnay fruit was sourced from Uraidla (550m) in the Adelaide Hills. This cool climate vineyard produces concentrated flavours and high natural acid due to the low yields of 4 to 5 T/HA. Good winter rains prevailed in the Adelaide Hills during 2014. The spring and summer were warm and dry, producing small bunches and a light crop. The fruit from the Burgundian clones was hand-picked at 12.6 Baume to capture grapefruit aromas and flavours. The viticulture and winemaking has produced a cool climate chardonnay with a pale straw colour, elegant grapefruit / citrus notes and flavours combined with subtle oak textures and a long crisp finish. Cellar 8+ years. 13.5 % vol/alc. 100 cases made. Review for 2014: 93 Points awarded from James Halliday, Wine Companion. 2014 Chardonnay: In March 2014, 2 tonnes of premium Chardonnay was hand-picked from The Lane vineyard in Hahndorf Adelaide Hills at Baume 12. This fragrant fruit was then whole-bunch crushed on-site and transported to Cradle of Hills to commence a natural fermentation on wild yeasts. Lees and juice were fermented separately in steel while a small amount fermented in a seasoned French oak barrique. Wild yeast primary and secondary fermentations have yielded a wine of complex bouquet and intense flavour in the citrus to white peach spectrum reminiscent of the Chablis style. No MLF. No fining agents added. Cold stabilised only. Pale straw in colour, citrus, white peach, cashew and vanillin flavours. Cellar to 10+ years. 12.5 % vol/alc. 100 cases made. In March 2014, 2 tonnes of premium Chardonnay was hand-picked from The Lane vineyard in Hahndorf Adelaide Hills at Baume 12. This fragrant fruit was then whole-bunch crushed on-site and transported to Cradle of Hills to commence a natural fermentation on wild yeasts. Lees and juice were fermented separately in steel while a small amount fermented in a seasoned French oak barrique. 93 Points awarded from James Halliday, Wine Companion. On a moonlit night in March 2013, 1.5 tonnes of premium Chardonnay was hand-picked from the Button vineyard of Basket Range, Adelaide Hills. This fragrant fruit was then whole-bunch crushed before commencing a natural fermentation on wild yeasts. Lees and juice were fermented separately in steel while a small amount fermented in a new French oak barrique. Wild yeast primary and secondary fermentations have yielded a wine of complex bouquet and intense flavour in the citrus to white peach spectrum reminiscent of the Chablis style. No fining agents added. Cold stabilised only. Pale straw in colour, citrus, white peach, cashew and vanillin flavours. Cellar to 10+ years. 13% alc/vol. 100 cases made. GiGi is a blend of 87% Grenache and 13% Mourvedre. McLaren Vale experienced good winter rains during 2015. Spring and summer were warm and dry, with good sea breezes and cool nights which supported light yields of full flavoured fruit. The Grenache was hand picked in early March 2016, at 12.5 Baume to capture red fruit flavours and high natural acid. 1.0 tonne of Grenache was lightly crushed and left on skins for 24 hours to extract colour and flavour. The juice was then basket pressed and fermented ‘wild’ (no yeast additions) at 200 C. 100 litres of free run Mourvedre was blended with the Grenache after primary fermentation. The wine was left on fine lees in seasoned French oak barrels for nine months to support MLF and add texture. No fining and minimal filtration was used. The wine was racked and bottled in December 2016. With a pink hue and spicy red berry nose, the Grenache provides strawberry flavours, here combined with spicy Mourvedre. The early picked vibrant fruit has texture and zest and is perfect served chilled with lighter styled spicy cuisine. The 2014 GiGi Rose was made from a blend of 90% early-picked Grenache and 10% Mourvedre. One tonne of Grenache was hand-picked by the winemaker at a Baume of 12.8 in order to capture bright red fruit flavours and zesty acid. The grapes were hand-sorted, then whole-bunch basket-pressed and left with skin contact for 24 hours in order for a deep pink hue to develop. The juice was then barrel fermented at 20 – 250C to dry. This fragrant wine was then left on lees for six months to provide a partial MLF with added texture and complexity. No fining or filtration was used. The wine was racked, blended and bottled in October 2014. for our 2014/15 summer. 13.5% vol/alc. 100 cases were produced. 94 Points awarded from James Halliday, Wine Companion. 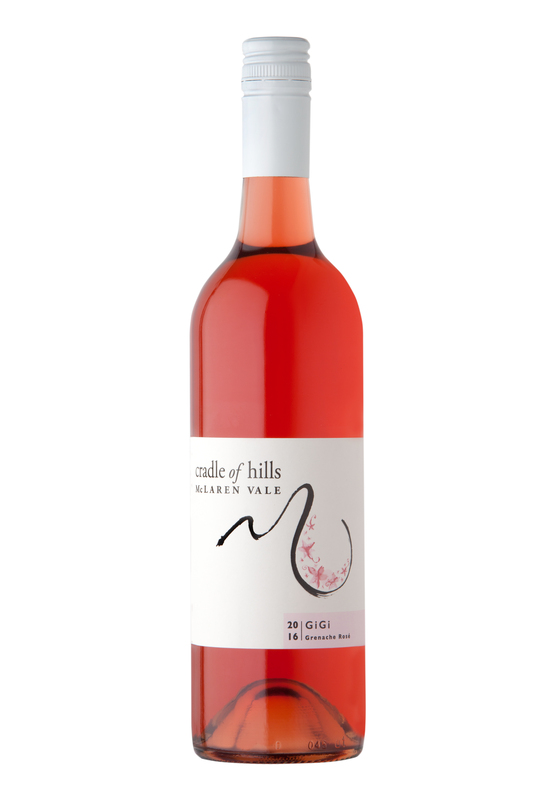 The 2013 GiGi Rose was made from a blend of 90% early-picked Grenache and 10% Mourvedre. One tonne of Grenache was hand-picked by the winemaker at a Baume of 12.8 in order to capture bright red fruit flavours and zesty acid. The grapes were hand-picked and sorted, then whole-bunch basket-pressed and left with skin contact for 24 hours in order for a deep pink hue to develop. The juice was then was barrel fermented at 20 – 250C to dry. The wine was left on lees for six months to provide a partial MLF with added texture and complexity. No fining or filtration was used. The wine was racked, blended and bottled in October 2013. 66 cases were produced for our 2013/14 summer. 13% alc/vol. 66 cases made. A blend of 63% Grenache, 25% Mourvedre and 12% Shiraz grapes. From the Grenache comes an intense rose-musk nose, the Mourvedre, an earthen-game palate, while the Shiraz offers a plum-spice signature. Open vat fermenting, basket-pressed and 18 months on lees (with monthly battonage) in seasoned French oak, provides a beautifully balanced wine. No filtration or fining used. 14.5% alc/vol. 143 cases made. 94+ points awarded from Philip White, Drinkster. Long-awaited, our new Shiraz Mourvedre is a blend of 2011 Shiraz (the remaining barrels from Scarce Earth Shiraz stock) and Mourvedre wines, which has aromas of ripe blackberry, spice and game. Our stunning Shiraz offers a complex mid-palate and chocolate-rich mouth feel while the Mourvedre adds earthy flavours, structure and length. Aged 30 months in seasoned French and US oak this wine delivers full fruit expression. 14.5% alc/vol. 200 cases made. This superb blend of estate grown 80% Cabernet sauvignon and 20% Shiraz grapes has aromas of redcurrant, spicy plum, mocha and cedar. Our Cabernet fruit gives excellent length and structure while the Shiraz, taken from the same batch as the McLaren Vale Scarce Earth Shiraz, offers silken tannins and a chocolate-rich mouth feel. Open vat fermenting, a gentle basket-press and 30 months barrel ageing in seasoned French and American oak, provides balance and complexity. No filtration or fining used. 14.7% alc/vol. 200 cases made. Cellar 10+ years. 14.5% alc/vol. 160 cases made. 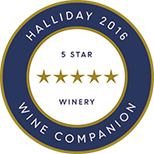 92 points awarded James Hallidays' Wine Companion 2014. The ‘1654’ clone of Shiraz is the Old Rogue grape of the Vale, underpinning the character and reputation of McLaren Vale Shiraz world-wide. 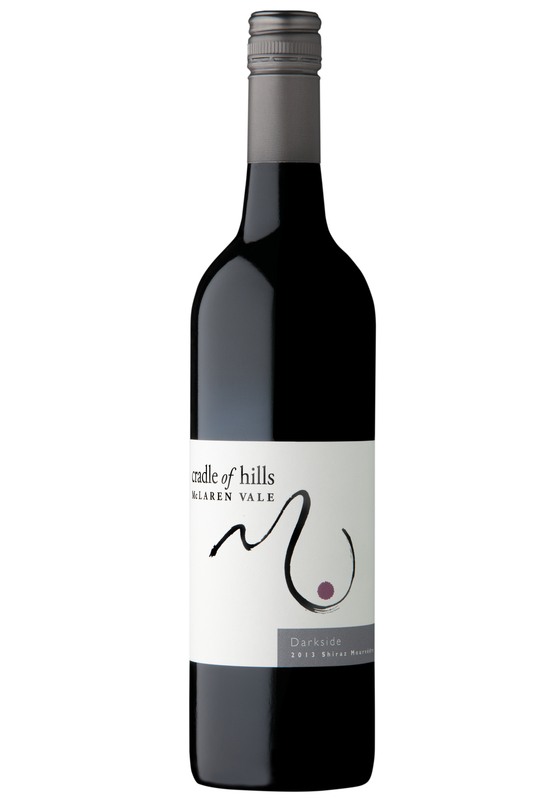 The sub-region of McLaren Vale called Sellicks Hill, has now been recognised as having exceptional soil and climatic features for growing ultra-premium 1654 Shiraz, so much so, that the term ‘Sellicks Hill’ is now appearing on labels of those who are fortunate enough to have vineyards in this tiny sub-region. Cradle of Hills vineyard is one such vineyard and has won many awards for its 1654 Sellicks Hill Shiraz. This Shiraz expresses a spicy plum and blackberry fragrance. 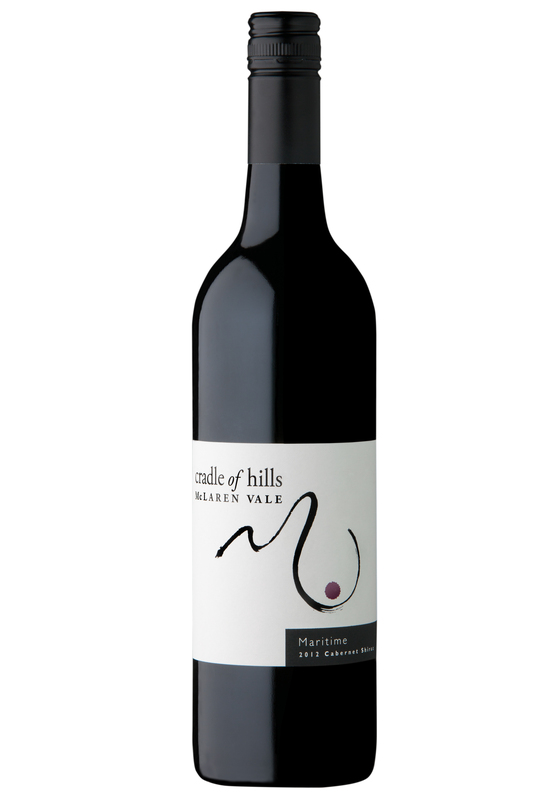 On the palate, the Shiraz contributes blackberry, pepper and dark chocolate typical of the character of the Sellicks Hill region of McLaren Vale. Seasoned French oak and fine tannins support this palate. The wine was bottled in December 2016. 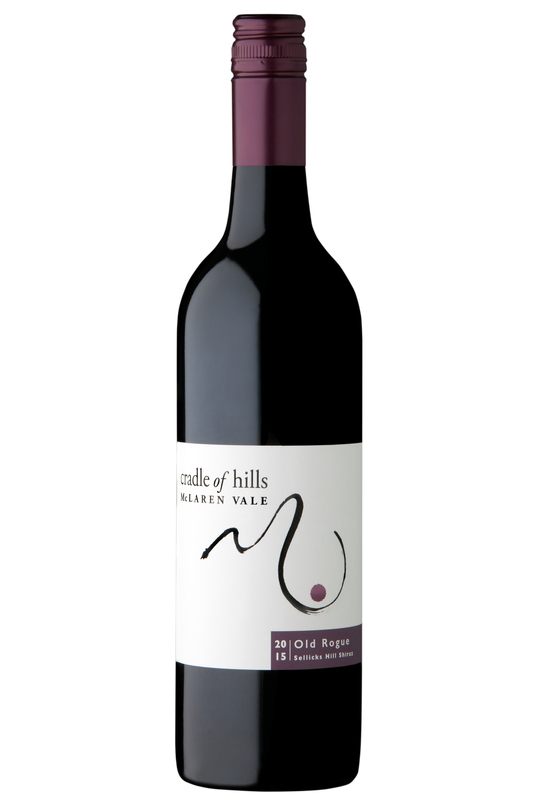 The cool, extended ripening season of 2010/2011 produced Shiraz wines of fragrance, subtle texture and silken tannins at cradle of hills. The grapes for this wine was picked over four passes and came from our now-famous, Western Block, known for producing tiny bunches of outstanding fruit. Open vat fermenting and hand plunging followed by two weeks maceration on skins and natural MLF over winter, has yielded a bouquet of blackberry, cherry and aniseed with delicate tannins for a dry finish. From the batch that produced our beautiful Row 23 McLaren Vale Scarce Earth Shiraz comes this delicious wine finished in a rounded, easy-drinking style. 14.5% alc/vol. 120 cases made. Cellar 8+ years. The ROW 23 McLaren Vale Scarce Earth Shiraz is the best exemplar of terroir for our district! A collectors' wine. Cellar 10+ years. Only 60 cases made. 3 bottle limit. Try our ROW 23 McLaren Vale Scarce Earth Shiraz, as the best exemplar of terroir for the district! A collectors' wine. "Good colour; the bouquet is fragrant and spiced, the medium-bodied palate with spicy/savoury black fruits and a long finish. Excellent outcome for the vintage." "An alluring nose of plums, blackberry and mixed spice. The palate is concentrated and complex with spicy black fruits interwoven with liquorice / mocha flavours. Subtle seasoned French oak and soft fine tannin support the fruit expression with balance and structure."